In the previous post we began discussing how changes in custom window standards are affecting the manufacturers in Canada. We also touched on what it means to you as a consumer. Chances are, if you’ve read anything about replacement windows you will have heard about Energy Ratings and Climate Zones. When Is The Best Time To Buy Canadian Windows? There is no denying that window and door replacement in our country is very much a seasonal business. And this isn’t because companies can’t perform winter installations. Although they take longer, modern window replacements in the cold months require more care and attention and, therefore, tend to cause fewer problems afterward. You’ve decided to get windows and doors. You’re still going to have to pay for it somehow, and window and door financing is an important point of discussion if you’re getting ready to make such a purchase, and this article is meant to help you understand the task of windows and doors financing and how it typically works for most homeowners. NAFS is here and the word is getting out. All renovations requiring a permit must have Canadian window and door products tested and labeled according to the new standard known as the North American Fenestration Standard. 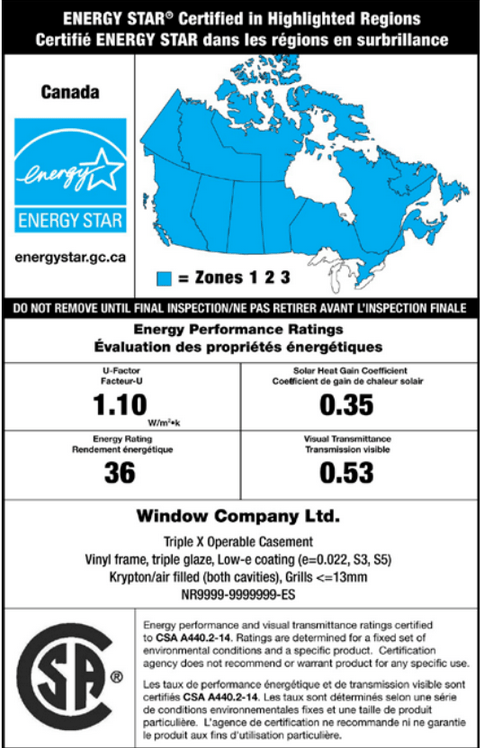 New Windows: Changes to ENERGY STAR Climate Zones In Canada Overall rating: 4.9 out of 5 based on 41 reviews.